If you’ve been anywhere near the Penny Bridges lately, you know the trail under them is closed for drainage work. A few of you may remember when the Rock Island trail was a functioning railroad. I do have very dim memories of it since I visited extended family who lived close to the Penny Bridges with a backyard that ended almost at the tracks. I asked my cousin who still lives there what he remembered of the corridor and he recalled something quite different, not the park-like setting of today. Seen here when re-opened. New and improved, but still with drainage issues. First, he remembers the thousands of frogs heard all summer. There was often standing water near the bridges, as discharge pipes from nearby buildings and parking lots emptied into the lower railway corridor. The tracks were strewn with glass and trash and kids would lay pennies on the rails to flatten them. Southeast of the bridges was an apple orchard, and continuing south, a popcorn field. Before Calvert, which was gravel and not a through street, was a railroad siding, it’s switch, and a fuel tank. Lumber for the wood shop at Union College was unloaded and trucked from there. Hobos sometimes rode the rails, and local kids would sometimes hitch rides too, unknown to the conductor. In the early seventies, he thinks, was the derailment, which left new cars and household appliances strewn across the backyard. In the area across the trail from Leon’s Market, kids in those days would dip water into cardboard milk cartons and pour it into the holes of the Franklin Ground Squirrels, who are similar to gophers, and the 13 stripe ground squirrels, who would stand up and whistle in alarm. Once flushed from their burrows, my cousins would capture one when they wanted a pet, take it home and tame it. The area south of the Penny Bridges to the west, past the wooded area, was known to have a good population of Bull snakes, and a little further down was another apple orchard. Wild asparagus was available along the tracks. South, in Bishop Heights, was the Catholic orphanage, school, and dump, which always seemed to have a fire burning. Continuing on across Highway 2, the first bridge was enclosed as it is today, but the second was not. A brave, or foolhardy, child could walk across, hoping a train was not coming. You could look down through the railroad ties to the 27thSt. roadway far below. Starting in Fall of 2019 construction of the new Rock Island to Jamaica Connector bridge from Densmore Park to the old Rock Island trestle, or Train Wreck bridge in Wilderness Park begins, with ramps providing access to the Jamaica. I hope the trail will continue on through the park on the elevated rail bed. I kind of hope that the trail doesn’t continue past the Jamaica trail. There have already been numerous rumblings and attempts to tame Wilderness with wider, wood chip paths and a limestone or paved trail all the way to HWY 77 would only bolster that desire by some. Danger Bridge would certainly go away as would most of what makes Wilderness Park a great place for those who use it now and like it the way it is currently. Not every place needs to be accessible by everyone, escalators to the top of Everest would take the challenge, adventure and accomplishment away from those who attempt it. I served for years on the board of the Friends of Wilderness Park, so “taming” the park would be something I would resist. I don’t think having a usable trail on that rail bed would “tame” it, if done properly. 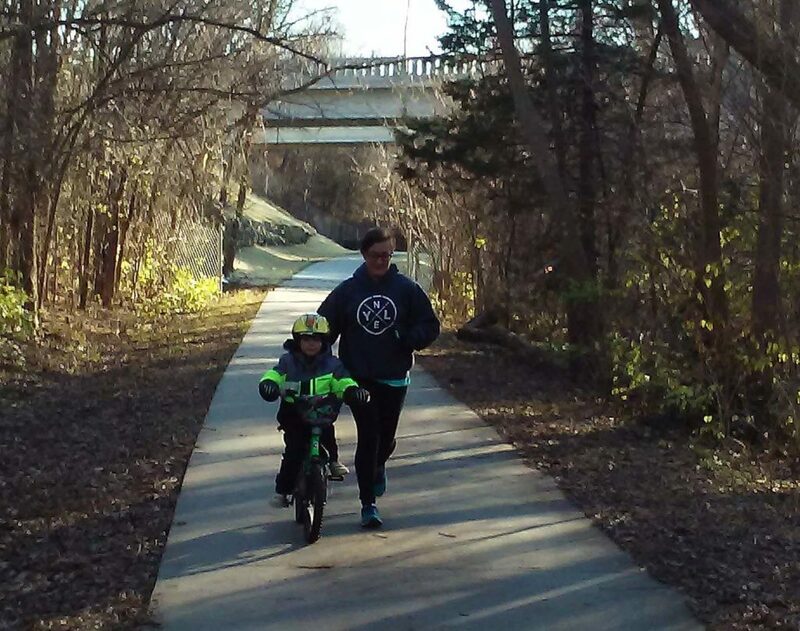 Ok, so let’s say they build a trail on the old railroad bed. How far does it go, they aren’t going to build on top of danger bridge so that would go for sure; I’d call that taming it. If you go farther, say to the “end” right before HWY 77, do you just abruptly end it there as an out and back? So now you have a path that cuts through all this beautiful scenery, someone is going to want to go down but how? Down the root covered trails that are there now seems highly unlikely acceptable access to those who want a path through Wilderness. Seems like a very slippery slope with a greater potential for drastic change Wilderness for what many would consider the worse. Maybe I’m not seeing a huge upside to having a paved/limestone trail into the park and an even bigger potential for continued all access trails being built once the foot is in the proverbial door. 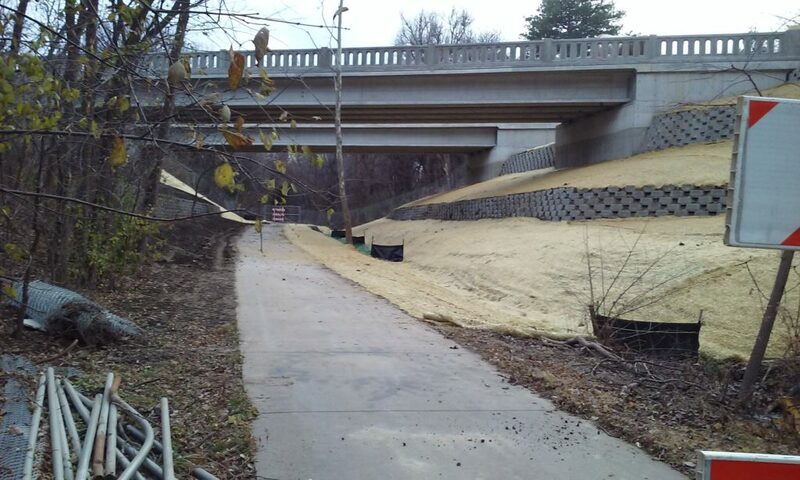 Minneapolis is currently fighting such a scenario with the River Bottoms. I would not be in favor of the kind of trail you seem to be considering. I had envisioned a usable trail like those already providing access to hikers and bikers in the park, connecting to the trail on the west side. Isn’t there already a single track path the does exactly what you suggest? At least there used to be, I remember taking it all the time when jumping the tracks was a “normal” way to get to the trail. We used to cross the wreck bridge and then bomb down the steep descent toward the tracks. It was pretty well maintained when I was living in Lincoln and you could take it from the tracks to Hwy 77 and we used it often to get to the west side of the Park. If you’re talking about recreating that trail, in the manner that it was, i.e. dirt single track, then I think we are on the same page. Yes, an “official” usable dirt track linking east side to west on the elevated bed. Just a dream. I like being at the tree tops.